Heather turns detective and tries to find out more about Vinnie's life. Roxy gives Jase some grief for treating her badly the other night. Shirley goes to see Carly and knows she's in a bad way. Mother and daughter manage to bond and Shirley offers to accompany Carly when she goes to see Deano. On 31 January 2008, June made history by being the first and so far only actress to carry an entire episode single handed in the history of British soap, with a monologue looking back over her past life, dictated to a cassette machine for her husband Jim to listen to in hospital following a stroke. 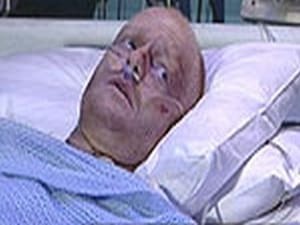 The fact that co-star and close friend John Bardon (who plays Jim) is recovering from a stroke in real life added extra pathos to the episode. In an interview on This Morning she claimed it was relatively easy as there were no co-actors forgetting their lines. In 2009, Brown was nominated for the British Academy Television Award for Best Actress. She is the first actress to be nominated in the category for a role in a soap opera since Jean Alexander's nomination for playing Hilda Ogden in Coronation Street in 1989. Brown's nomination came as a result of her "single-hander" episode of EastEnders, the director of which she praised. Dawn's worried by Jay's destructive behaviour. Phil's suspicions are aroused by Archie's lies and Ronnie asks Jack about his moving plans, but is rankled when he’s evasive. When she spots the family’s passports, he confesses they’re off to France. Ronnie protests that Jack’s abandoning the club, and storms out, upset. Garry's hacked off to witness Callum flirting with Dawn. He orders him to move out of the flat, but Callum pleads poverty. Desperate, Garry raids his holiday fund to give Callum the deposit for Jase’s old flat. Archie persuades Phil to let Garry and Minty work on the boat, and soon has the lads hanging onto his every word. Later, Phil laps up Archie’s tales about his dad, and they admire Ernie’s prized boxing trophy. Dawn spots Jay carving ‘Jase Dyer RIP’ on the war memorial. Later, she approaches him - now she’s earning again at R&R, maybe she can take him out? Jay suggests she forgets about him, just like she’s forgotten his dad. Max wants answers Tue 21 Oct 2008 Max's suspicions grow over Tanya and Jack moving. Billy's at the end of his tether and the Masoods need to close the post office. Tanya and Max Max demands answers from Tanya after seeing the 'sold' sign outside No. 5. He tells her he'll divulge Rainie's whereabouts if she explains. She promises she hasn't found a house, so Max gives her Rainie's address. Jay Jay soaks rags with petrol from the garage and pokes them through Garry and Minty's letterbox. Billy sees and confronts him - how could he kill a baby? Billy tells Jay that he gives up. Jay retorts that it's typical of him. Masood and Zainab Zainab reveals to Masood that they need to close the post office. Tamwar antagonises Zainab further by announcing that he now wants to go to Oxford. Mas tells her that they should throw their energy into catering. Zainab Dot's concerned to see Zainab place a notice of closure on the post office door. This springs Dot into action to save the business. Mas confronts Zainab to tell the truth, but she doesn't want people to know she's failed. Masood forces a reluctant Zainab to reveal her family's failings to the entire Square. Dawn makes a stand for family. Tamwar Masood promises to make a birthday dinner for Tamwar at the exact moment he was born. He's furious with Zainab for wanting to attend the demo against the post office closure instead. Why can't she own up to the truth? Suzy Suzy announces to Max that she wants him out - Phil's moving in. Later, she cajoles Phil into action by making jibes about him still living at home with his mum. She's frustrated when he decides to move out - but not in with her. Tamwar and Shabnam Tam gets a card from his brother Syed. He misses him. Later, he's worried that Masood will hit the roof when he sees the card. He's not angry, but Zainab's furious at the mention of the eldest son of whom she never speaks. Darren and Denise Denise gives Darren a driving lesson. She's impressed by his maturity behind the wheel. Darren reveals that driving a car is like making love to a beautiful woman. Denise is incensed and bans him from driving Libby anywhere. Max stops the move Fri 24 Oct 2008 Max is determined to ruin Tanya and Max's getaway. Jay's still missing, and Shabnam leaves the Square. Jay and Billy Billy begs Dawn not to go the police about Jay. They send out a search party and eventually he shows up. Billy's relieved that he's safe, but Dawn vents her fury at Jay's dangerous behaviour. Zainab Zainab feels like she's lost the post office, her daughter and people's respect. Masood urges her to stand up and be strong. As they bicker, Shabnam packs her bags and slips out. Bradley and Max Max has a plan after speaking to his solicitor about parental rights. He pretends to be Jack and cancels the tickets his brother's booked to France. Bradley thinks he's pathetic and is about to ruin even more people's lives. Dawn, Summer and Jay Dawn and Jay try to reconcile their differences. As Dawn talks about Jase, Jay realises that she loved his dad deeply and misses him as much as he does. Billy's happy that Jay doesn't want to leave. Max frames Jack Mon 27 Oct 2008 Max resorts to desperate measures to stop Jack and Tanya from going to France. Denise thinks Darren's holding Libby back. Darren and Libby Denise finds Darren and Libby curled up under the duvet. They claim they're helping each other revise, but Denise orders them to get up and get dressed. In the Minute Mart, Zainab and Denise clash over their brainy offspring. Stacey, Danielle and Callum Stacey and Callum have been out all night with Danielle and arrive home in a pedicab! Stacey bets Callum £20 that he can't stop flirting for a day. He loses the bet when he entices Stacey to Charlie's shed for some hanky panky. Tanya, Lauren and Jack Jack has a long list of tasks for the family to do before they leave for France. Ronnie wishes him bon voyage, as Tanya watches her carefully. Lauren's gloomy that she has to leave Peter behind. Lauren and Max Max finds Lauren and Peter together. He asks how she can say goodbye to her mates and not her dad. When Peter dares to pipe up, Max half strangles him. Lauren shouts that she hates her dad. Crisis point for Darren and Libby Tue 28 Oct 2008 Under pressure from Denise, Darren dumps Libby. Jack faces some tough questions from the police. Jack, DI Turner and DS Collins The police want to know why Max would try to frame Jack. He explains about Tanya and mentions that he knows that Max had a gun because he told him to hand it in to the police. Clearly, he didn't. Darren, Libby and Denise Darren can't find the words to finish things with Libby. He feels awful when she gives him a good luck gift for his driving test. Lucas mentions to Denise that they make a lovely couple and notes her guilty reaction. Max and DI Turner DI Turner arrives at Max's to find Tanya on his doorstep, accusing him of being a liar. Max is shaken to hear that gunshot residue was found on him, but not Jack. Max claims that it must be down to the struggle they had. Chelsea, Denise and Libby Chelsea and Denise find a letter that Libby's written, withdrawing her application to Oxford. Denise blames Darren and Libby storms out. She meets Darren, who's passed his test. He blurts out that they're over. Hit and run Thu 30 Oct 2008 Whilst Bradley and Tanya wrestle with their emotions, a night of terror at Jack's hands ends in tragedy for Max. Peter and Lauren Max’s claim that Jack had a gun cuts no ice with Tanya. Lauren storms out to find Peter. She’s devastated to learn that Max forced Peter to dump her. Meanwhile, Libby and Darren plan their escape from Walford. Jack and Max Jack forces his way into Max’s, cuffs him and spirits him off to a deserted warehouse. After roughing him up, Jack’s menacing: Max is the problem in the family, and it’s time he was removed. Jack reveals the gun. Bradley Bradley’s crushed when Stacey admits that her loving words were meant for Callum. Stacey’s clear - things will never be the same between them, but it's not Bradley's fault; Max’s latest antics put the final nail in the coffin. Max and Jack With Jack pointing the gun at him, Max pleads pathetically for his life. Jack gives him the gun and goads Max to shoot him, but he can’t; “Because you’re weak” crows Jack. He walks out to claim his family, leaving Max broken. Episodul 172 - Who ran over Max? Who ran over Max? Fri 31 Oct 2008 Tanya, Jack and the girls visit Max in hospital. Bradley's a broken man and Libby ignites a spark between Denise and Lucas. 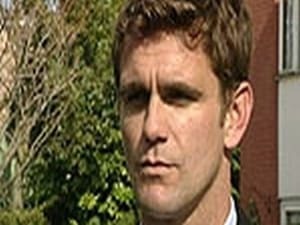 * Watch Episode Fri 31 Oct 2008 Highlight Max Tanya, Jack and the kids arrive at the hospital to see Max in intensive care. Meanwhile, Dot is beside herself with worry, as Bradley is missing. Little does she know that he's sitting in the café adding Scotch to his drink. Denise and Libby The police turn up at Denise's for a statement from Darren. At the nick, Libby's angry at her mum for warning off Darren - Lucas told her. Darren and Libby leave together and he advises Libby to go to Oxford. Abi and Tanya Abi thinks it's her fault that Max got run over. Tanya tries to reassure her, but Lauren jumps in: "Yes it is". Abi runs in to see her dad, but she's shocked to see him wired up to a life support machine. Nurses usher her out. Bianca Bianca's upset and confides in Pat that Tony's hardly touched her since his prison release. Pat brings her a case of saucy items to spice things up. However, its too much information when she learns of Pat's fling with Patrick. Jack faces more questions Mon 03 Nov 2008 Speculation is rife as Jack and Tanya are questioned about the attack on Max. Bradley shuts himself away. Jack and DI Turner A worried DI Turner warns Jack that the attack on Max is bad news for both of them. Turner asks if the gun's been disposed of - Jack lies that it has. At the hospital, Max is on a life support machine. Dot and Bradley Dot prepares to leave for the hospital. She's taken aback by Bradley's refusal to join her. He no longer cares what happens to Max. Gossip is spreading around the Square - most people blame Jack. DI Keeble, Tanya, Lauren and Abi DI Keeble announces that she's taken over the case. She grills Tanya about her relationship with Jack, and she's annoyed when Tanya refuses to let her speak to Abi. Meanwhile, Jack's taken to the station for questioning. Ronnie and Roxy Ronnie confesses that she saw Jack just before the accident and told him she loved him. Roxy feels sorry for her and invites her to an antenatal appointment. Sean feels left out, and Archie taunts him. Bradley can't take the heat Tue 04 Nov 2008 After a grilling from Keeble, Bradley decides to get out of Walford. Tanya's suspicious of Jack and Jane wows the Vic. DI Keeble DI Keeble asks Dot some searching questions. Dot’s evasive but Keeble persists: is Bradley the sort who’d try to kill his father? Meanwhile, Jack asks Tanya if she believes Abi’s claim that she didn’t see the driver. 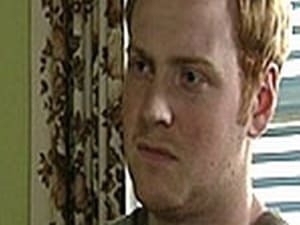 Ian Ian’s supportive of Jane doing a turn at the Vic, as long as she drops the Mrs Beale routine. Later, fed up of people using the café facilites for nothing, he puts a lock on the loo door and jealously guards the combination. Tanya and Abi Abi’s next on Keeble’s list. She gets upset as Keeble pressures her to remember who was driving the car that hit Max. Keeble then disturbs Tanya by revealing Jack’s alibi: he was saying a ‘special goodbye’ to Ronnie. Shirley Phil and Shirley send Ben back early from holiday. Ben confides in Shirley that he’s glad - he was stuck in a boring kids’ club on his own all day. Shirley’s hackles are raised but Peggy dismisses her concerns about Suzy. Bradley speaks the truth Thu 06 Nov 2008 Bradley's considering leaving the Square. Stacey patches things up with Callum and Whitney's desperate to share Tony's birthday. Sean and Roxy Stacey's feeling sorry for herself and avoids Callum's calls. She only drags herself out to get milk when Jean irritates her. Meanwhile, Roxy and Sean view a flat they love. Archie offers to help financially, but it grates on Sean. Bradley and Dot Dot catches Bradley off guard, as he heads out of the door. She points out that she knows he's booked a ticket to Stockholm. 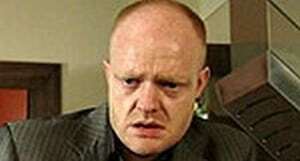 He admits that he has nothing left in Walford, so he may as well run away. Dot goes to see Max. Ian and Jane Ian's sulking in the café after spending last night locked in the toilet. People are sniggering, so he catches wind that Jane joked about him in her act. He installs a new lock and explains the "lavatorial security" to Jane. Stacey and Callum Stacey bumps into Dot and asks how Bradley is. Dot advises her to stay away from him - she's done enough. Later, Stacey blames herself for the Brannings' misfortune, but takes up Callum's invite to Fargo's. Lauren speaks out Fri 07 Nov 2008 Tanya's shocked to learn that Lauren knows more than she thought about Max's accident. Archie invites the Slaters over. Max and Tanya Tanya shares her concerns to Jack over the police re-interviewing Bradley. As he reassures her, he receives a call from the police - his fingerprints are on the steering wheel. Tanya gets jumpy and they row. Sean and Archie Sean's wound up over Archie's interfering. He tells his father-in-law that he'll never get to know him. This puts a bee in Archie's bonnet - he invites the Slaters over behind Sean's back. Charlie and Jean arrive and the wine flows. Ben, Heather and Shirley Heather and Shirley's night at the dogs is ruined when Ben turns up. He confesses his worries over moving to Suzy's. Shirley promises him that her door's always open. Meanwhile, Stacey tells Danielle about Callum's scars. Dot and Tanya Tanya discovers Jack in the waiting room to see Max and questions why he's there. An argument erupts and Dot walks in to hear that they both "hate Max". Tanya's apologetic and offers to cook for all of the family. Tanya's torment Mon 10 Nov 2008 Tanya visits the police and puts an end to the speculation. Masood has big business plans, while Sean's desperate to find work. Tanya and Keeble Tanya stops the police during their interview with Lauren, claiming that it's too upsetting. She hurries them out of the house, trying not to reveal her panic. She tells Lauren that she needs time to think. Sean and Jackie Under pressure from Roxy and Archie, Sean takes a job on a local building site. The boss Jackie rubs him up the wrong way and he quits, furious that he's sweated all day for a few quid. Roxy's disappointed in him. Jackie, Masood and Tamwar Masood strikes a deal with Jackie to feed her workers, but he's flustered when she asks him out for a drink. Tamwar looks at the figures and warns that all the Masoods' hard work won't earn them enough money to stay afloat. Mal, Ian and Jane Ian thinks Jane's comedy career could turn into a nice little earner for the Beales. When talent scout Mal urges Jane to lose some weight and start telling 'blue' jokes, Ian boots him out. The case builds against Tanya Tue 11 Nov 2008 Tanya's held in custody for attempted murder. Jack plots to discover who's testified against her and Archie humiliates Sean. Kendra Hill-Smythe and Tanya Tanya meets her brief, Kendra Hill-Smythe, who explains that she’s been charged with attempted murder. Tanya’s stunned to hear she could be banged up - there’s a witness who saw the car speed up towards Max. Dot and Bradley Abi vows to cut off contact with her mum, and Lauren and Jack struggle to cope. Dot tells Bradley that Max has been rushed into surgery, but Bradley’s cold. “Have you any idea how often I thought about doing what Tanya did?” Jack Kendra pays Jack a visit: it’s not looking good for Tanya. The witness testimony changes everything, and DI Keeble’s withholding their identity. Kendra warns Jack that this is one case he can’t fix - Tanya’s a lost cause. Masood Despite Zainab’s misgivings, Masood goes to ask the bank manager for a loan to expand Masala Masood. After he gets a knock-back, he makes a mysterious phone call. Later, he lies to Zainab that bank came up with the cash. Roxy's agony Thu 13 Nov 2008 Roxy's cut up over Sean's behaviour whilst the residents of Albert Square raise money for Children in Need. Jack visits Stacey. Archie and Roxy Sean's been missing all night, so Archie advises Roxy to leave him - she has the flat now. Meanwhile, Jane receives a call from Christian - he's back in the country. She informs him that he has a surprise visitor. Masood and Zainab Zainab asks Masood to reconsider the new business venture, but Mas is adamant that the plan will not fail. She tells him to go ahead without her, as he won't notice if she's gone. Upset, she walks out. Stacey and Jack Jack tells Stacey that Max is dead. She's stunned. He asks her if she's in love with Max, but she insists she's not. 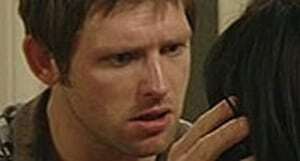 He later confesses that Max is still alive and tries to bribe her to retract her statement against Tanya. Suzy, Phil, Heather, Ben, Shirley and Archie Suzy and Shirley are in competition for Children in Need - they're baking a cake for the Vic's raffle prize. Suzy secretly pays Ian to make hers. Little does she know that he gets Jane's mum to bake it - but she gets drunk! Roxy's rushed to hospital Mon 17 Nov 2008 Sean's busy partying as Roxy goes into premature labour. Christian wonders what to do about his mother. Peggy, Archie and Roxy Roxy screams for Sean as she goes into labour. Archie pretends to call him, and tells Roxy to forget about him for now, as she needs to go to the hospital. Tony, Whitney and Bianca Tony and Whitney pull apart as Bianca comes in, chatting about the wedding. She leaves Whitney in charge of the kids as she goes to the Vic with Tony. She comes home drunk, much to Whitney 's disgust. Shirley and Heather While the Mitchells dash off to the hospital, Shirley and Heather draw the raffle. Shirley and Suzy swap insults when Shirley wins a beauty treatment prize at Booty. Jane, Linda and Christian Linda proves a handful for her exasperated kids. Christian's not surprised that their dad's left her for a younger woman. After talking to Peter, however, he wonders if he should give his mum one more chance. Roxy leans on Christian Tue 18 Nov 2008 Roxy makes a big decision about the baby's future, with Christian's help. Sean's frozen out and Tony upsets Whitney. Archie and Roxy Roxy keeps vigil at her baby’s incubator, with Archie by her side, playing the doting grandfather. Whilst Sean broods at home, feeling rejected and helpless, Archie tells Roxy she’s better off without him. Sean and Archie Archie returns to the Square, and relishes telling Sean that Roxy doesn’t want anything to do with him: “You’ve lost, Sean.” Sean restrains himself, with difficulty. Later, he breaks down at the sight of the empty cot. Jack Suzy visits Jack, who’s struggling to cope. She asks him if this is really the life of a successful club owner, and points out they’re not even his kids. Jack’s face shows concern at the mention of Roxy’s baby. Sean, Mo and Christian Roxy welcomes Christian’s support, despite the Mitchells’ attempts to close ranks. At Roxy’s request, he goes to find Sean, who resents his interference, and they row. Later, Linda badgers Christian about his hedonistic lifestyle. Desperate Sean Thu 20 Nov 2008 Sean vies to see his daughter, Archie's furious that Roxy plans to call her baby 'Amy' and Vinnie tries to impress his girlfriend. Jack Max is heavily sedated as a tape of Abi's voice plays. Jack's present and rings Bradley to tell him that Max will be woken up that night. Bradley hangs up. Later, Abi's upset as Jack and Suzy refuse to take her to see her dad. Ronnie and Sean In the café, Sean convinces Ronnie that Archie didn't call him for the birth. She hesitantly agrees to take photos of the baby for him. Meanwhile, Whitney tries to organise time with Tony, after Bianca heads off to her shift. Vinnie and Daphne Shirley steps in to help Vinnie, as his new girlfriend, Daphne, is coming to the Vic. She thinks he's the owner! Shirley talks Phil into going out, but she's jealous as Vinnie entertains Daphne. Phil returns - Vinnie's busted. Ronnie and Oscar Jack asks Bradley to babysit Oscar, as he's not coping. Ronnie stops by to see Jack, but Bradley dumps Oscar on her to look after instead. After a shaky start, Ronnie settles Oscar and enjoys cradling him. The return of Max Mon 24 Nov 2008 Max discharges himself from hospital and heads back to Walford to find out what happened to him. Ian and Lucy make a bet. Max and Jack Max can't remember anything about being run over. Jack denies that he had anything to do with it. Later, Keeble quizzes Max about Tanya's motives, but he can't believe that she'd try to kill him. Callum and Vinnie Callum's dubious about Vinnie's rally driving plans and makes a bet that it won't happen. Whoever loses has to run naked around the Square. Heather fails to get Shirley to admit she'll be sorry to see Vinnie go. Lucy and Ian Lucy and Ian quarrel over the fact that he bought clothes for Peter, but not her. Ian makes a deal with Lucy that if she can earn £1000 by the end of the week, he'll double it. By the end of the day, she's already made over £200! Liam, Tiffany, Whitney and Morgan Bianca's brood are left to fend for themselves after Bianca goes to a secret cleaning job. Ian's angry that she's left him in the lurch, but Jane takes pity on them. Bianca explains to Whitney that she's desperate to make extra money. Tony snaps Thu 27 Nov 2008 Tony takes his anger out on Whitney. Lucas and Denise get romantic and Max is shocked by Lauren's rejection. Max and Tony Lauren’s cover is blown when Max finds a bag stashed with party wear. When Lauren admits she was actually going to a gig with Tony, angry Max grounds her. Later, he blasts Tony for encouraging Lauren to lie to him. Ronnie and Max Max insists to a dubious Keeble that Tanya didn’t injure him, before paying Ronnie a visit. He demands to know why she’s given Jack an alibi. Ronnie’s having none of it: Tanya did it, and Max must deal with it. Libby, Chelsea and Patrick Chelsea, Libby and Patrick conspire to lock Lucas and Denise in the house together with the makings of a romantic meal. When Denise’s cries are heard after she cuts her finger, they burst in, to find them snogging passionately. Heather and Shirley Shirley calls in sick for Heather and takes her on a girls’ day out. They’re getting drunk in the Vic when Vinnie asks Heather if they’re enjoying a last hurrah before Shirley joins him on the rally. Heather’s gutted. Whitney begs Ricky not to reveal what he saw to Bianca, and Tony takes a sinister step in his pursuit of Lauren. Shirley is left reeling when her relationship with Phil takes a dramatic twist and Lucas stuns Denise with his beliefs. Tony and Whitney's relationship starts to detoriate. Tanya stuns the Branning family. Suzy shares a secret that will change Phil's life forever, while Ronnie tries to stop Jack's downward spiral, but has she only made things worse? At the hospital, Sean and Roxy come face to face with both the joys and the horrors of parenthood. Events take a darkly unexpected twist when Jack visits Jim in his nursing home. Meanwhile, Shirley's heart breaks as she pushes Phil towards a life-changing decision, and Roxy finds the strength she needs to be a mother. Whitney's guilt threatens to overcome her as Tony's dark affections begin to shift towards someone else. Meanwhile, Roxy is backed into a corner by Jack, and sends Christian on a terrible errand. Bianca throws Whitney a 16th birthday party that she will never forget. Under pressure from Jack, Roxy is forced to take drastic action, and Denise makes a big sacrifice for Lucas. 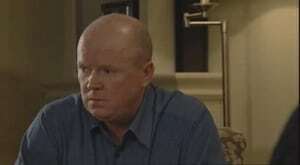 If you are affected by any of the issues in this episode of EastEnders, please seek help. Now. Bianca is thrown into turmoil when she uncovers the shocking truth about Tony, but will he convince her that Whitney is lying? If you are affected by any of the issues in this episode of EastEnders, please talk to a friend or something. As the truth about Tony and Whitney sends shockwaves through the square, Bianca keeps her family at home. At the cafe Lucas tells Denise that everyone hates him, a fear that is compounded when Ian refuses to serve him. Libby arrives back from her Oxford interview and is angry when she thinks Denise had forgotten about it. The DNA results are due and Roxy’s nervous. Whitney keeps to her room, still refusing to speak to the police. Tony texts her, wanting to talk. Denise, holding a birthday cake, sees Lucas, and wrongly blames Phil and Ian for his injuries. Trade is slow at the Masoods’ stall until Tamwar decides to tempt Christmas shoppers with a sauce perfect for leftover turkey. As the Jacksons struggle to cope with the fallout of Tony's actions, Bianca makes an upsetting discovery. Roxy enlists Christian's help to track down the missing paternity test, while Suzy is thrown by an unwelcome visitor. Ricky and Pat receive shocking news about a family member. Suzy's plans to escape from Walford are thrown into jeopardy by Archie. Whitney has devastating news for Bianca, and Dot and Heather are horrified to discover the Christmas lights vandalised. Billy and Ricky race to stop Janine's wedding, but will they make it in time? Suzy is forced into making an announcement which surprises the Mitchells, and Heather is shocked to learn the identity of Albert Square's mystery benefactor. Sean is suspicious when Archie extends an olive branch, but are his motives genuine? Shirley and Ben are less than thrilled by Phil and Suzy's news, and Janine returns to the Square with revenge on her mind. Shirley tries to prise Phil from evil Suzy's clutches with the help of a little festive karaoke, Janine resolves to turn over a new leaf in Walford, and Ian continues to be a Christmas curmudgeon. Jane flips when she discovers the real reason behind Ian's festive ban, Shirley hopes for a Christmas with Phil, while Danielle makes bad decisions when Ronnie gets closer to Jack. The Mitchell family anticipate the perfect Christmas until Archie hears of Sean's plans to leave Walford with Roxy and baby Amy. Having been thrown out by an angry Jane, Ian discovers how important family really is and Shirley struggles to forget about Phil. Sean is as happy as he has ever been - but can it last? Ian finally finds his yuletide spirit, while Dot comes to terms with the reality that she may be spending Christmas alone. Sean discovers the secret that will change his life forever. At the Beales', the gang has a laugh at vest-wearing Christian, and Dot gets a dark surprise in the form of a nasty visitor from her past. Roxy faces every mother's worst nightmare, while Dot's family grows in a very unexpected way. Suzy leaves the Square for good, but not as she had planned. A frantic search for Amy turns up nothing, but does Jean hold the secret to her disappearance? Bradley walks out on Dot and Lauren sees Ronnie and Max's relationship take an unexpected twist. The hunt is on for Sean and Amy. Janine discovers that Bianca is not being entirely honest, and Nick's true colours begin to shine through.